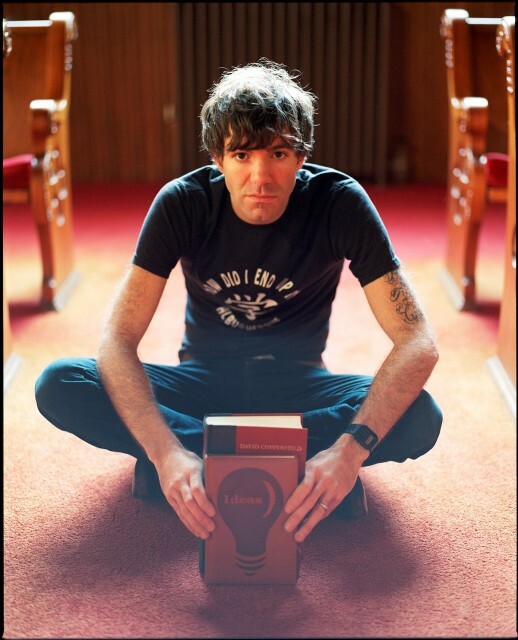 Amid the adversity of life, Americana Rock singer-songwriter Stephen Kellogg found himself at a crossroads. His band, The Sixers, went on hiatus after nine years of playing together at the end of November 2012. And for the first time since 2002, Kellogg was in a place where he could release a solo album. “Blunderstone Rookery,” which is scheduled for a June 18 release, comes after the loss of Kellogg’s mother-in-law, grandmother, and the roof of his house. The album features a collection of honest songs written with the hope of leaving behind a positive legacy for his family — a feat that Kellogg encourages all people to strive for in their own lives. Rachel: “Blunderstone Rookery” is being released at a unique time in your life and you’ve drawn inspiration for these songs from personal stories. What would you say are the biggest challenges you’ve faced while writing and releasing this album? Stephen Kellogg: The amazing thing about life is that it’s always a unique time in one’s life, because it’s the only time you’ll ever be where you are. We can look back with hindsight and kind of understand or make sense of what was going in a given moment, but often it’s tough to fully appreciate where we’re at while it’s happening. While writing and releasing this album I was very aware that I was in a challenging place because I had lost my mother-in-law, my grandmother, the roof of my house, and my band in the course of about five weeks. Not surprisingly I got kinda sick, and found myself knowing that was going to be something I was going to have to “go” through and “grow” through.